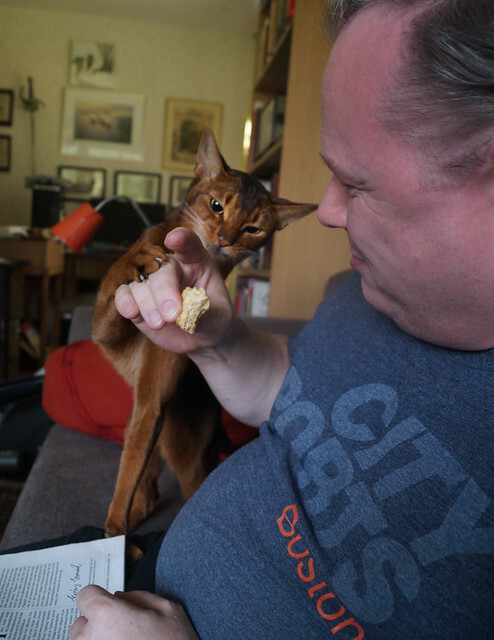 Yesterday’s post prompted a discussion of “Grabby Aby hands,” and I was reminded of this set of photos I took back in August 2016, just a couple of months after I moved to Sweden with Jacoby and Angel. 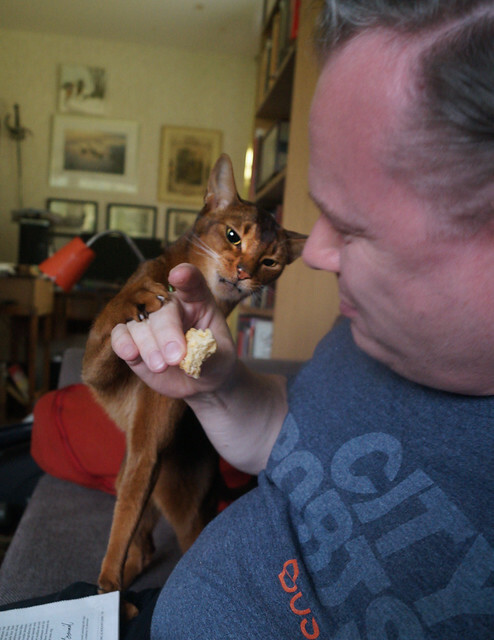 Björn was eating something bread-based, and Jake wanted it. 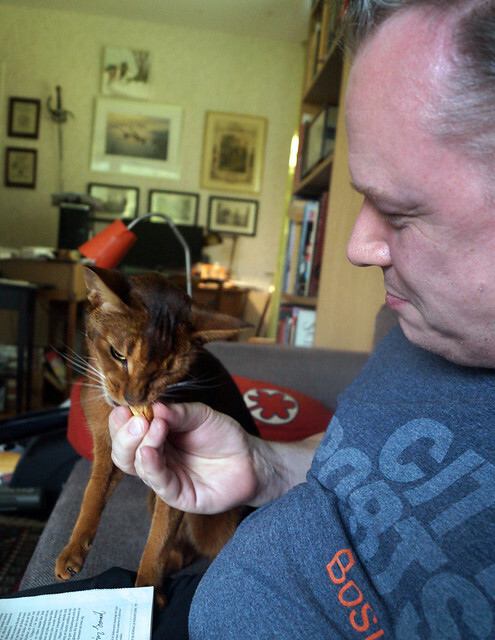 Look at how Jake inserted himself between Björn’s hand and his mouth! 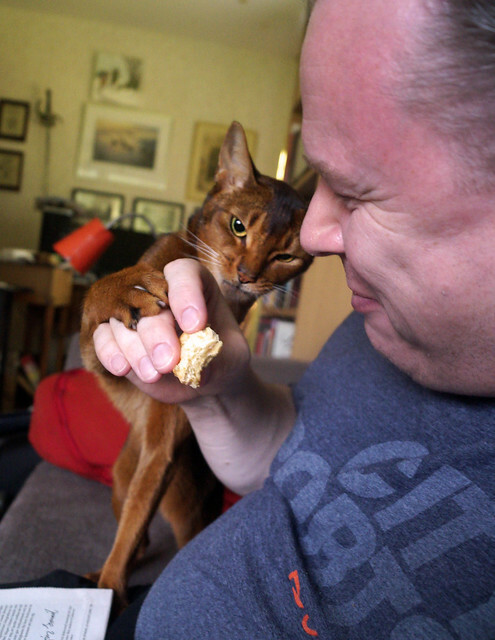 Jake wanted a taste of whatever Björn was eating. 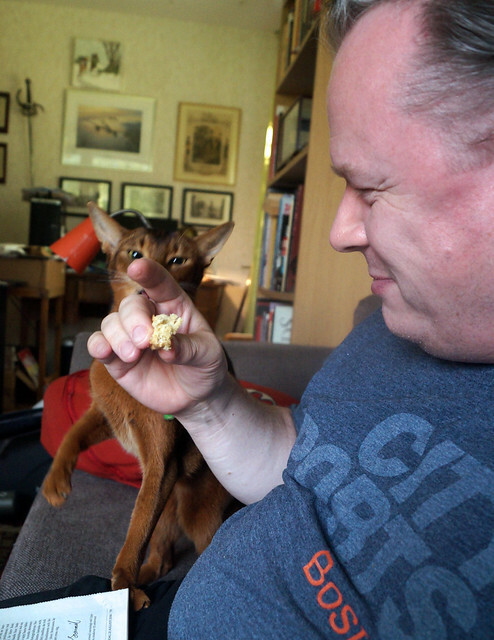 And he was pretty insistent. 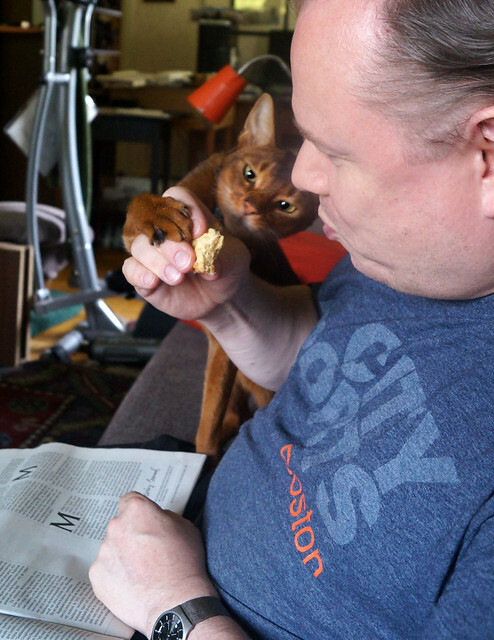 Jake was fighting for his share…but Björn was fighting for his share, too. 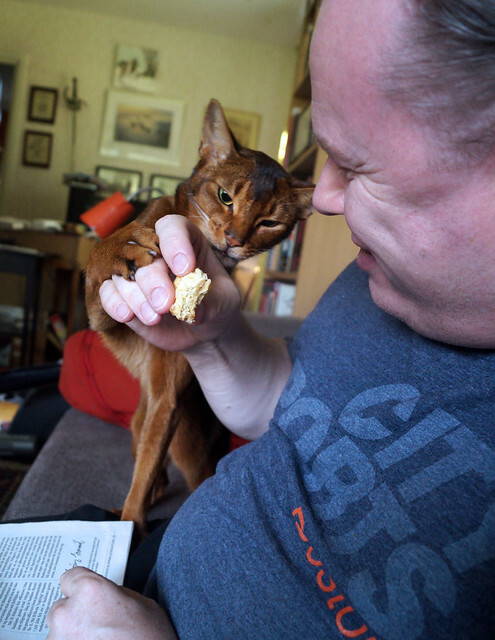 It’s hard to tell who is fighting harder…Jake or Björn. 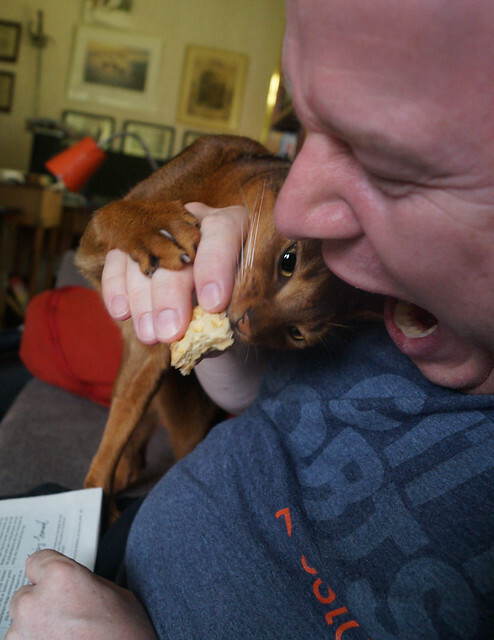 It was a straight-up battle for the piece of bread, yo. 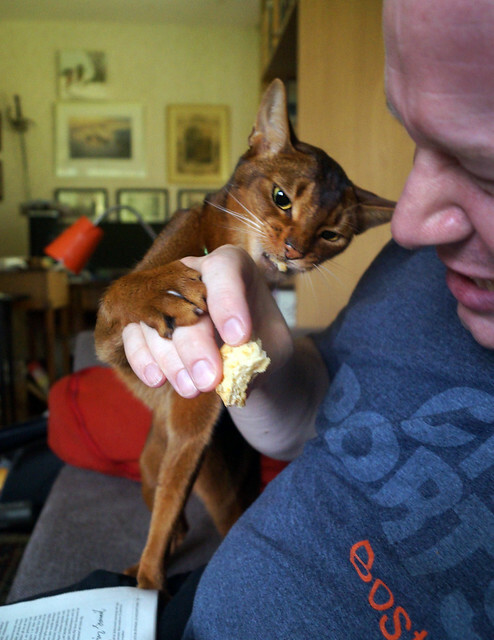 Jake was persistent in his search for food…and he managed to get some scraps from Björn. 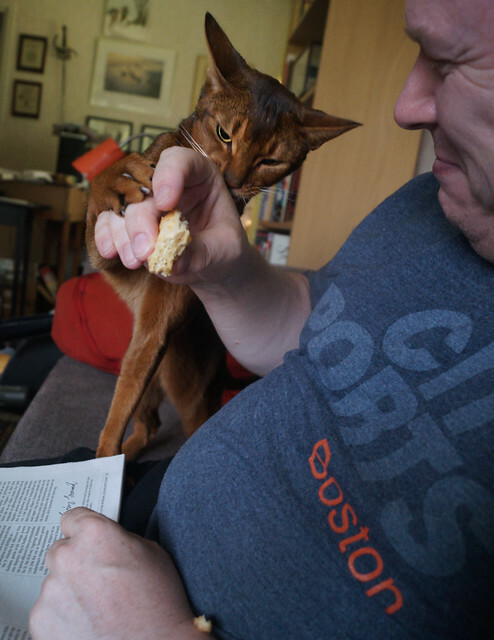 And he managed to get some bread, too. 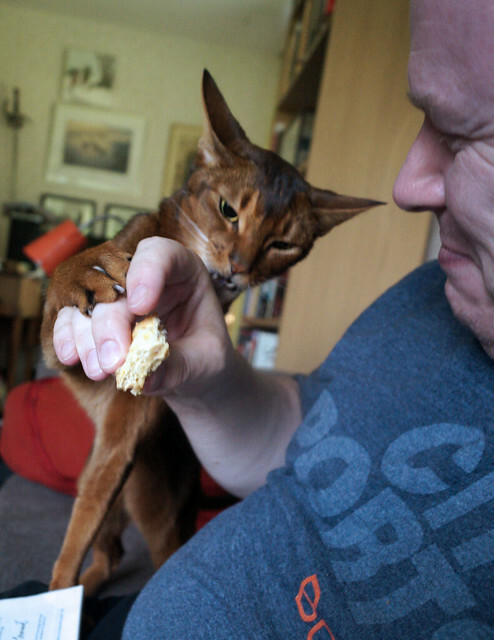 But yeah. 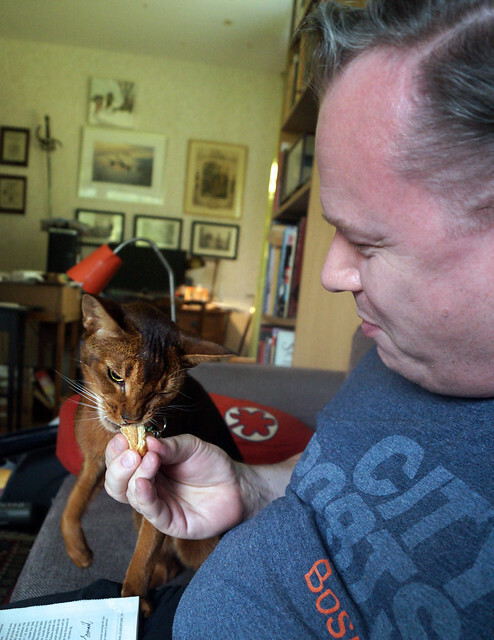 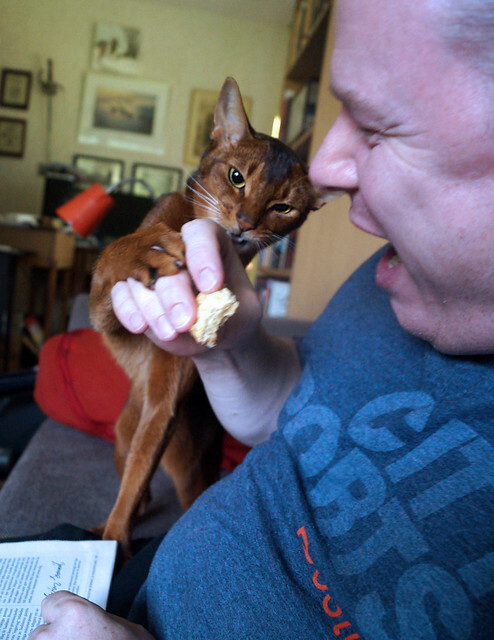 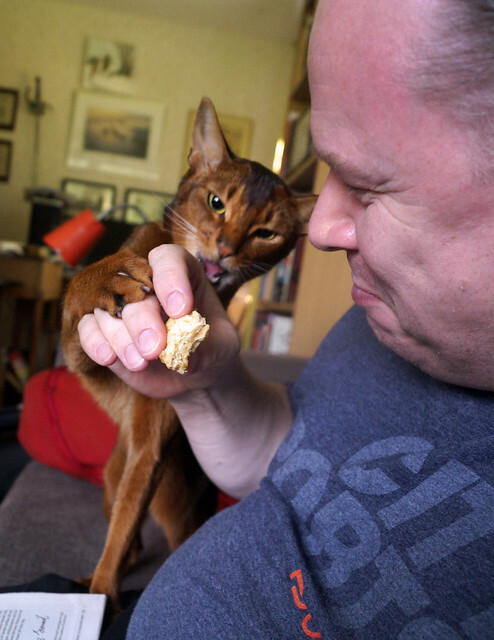 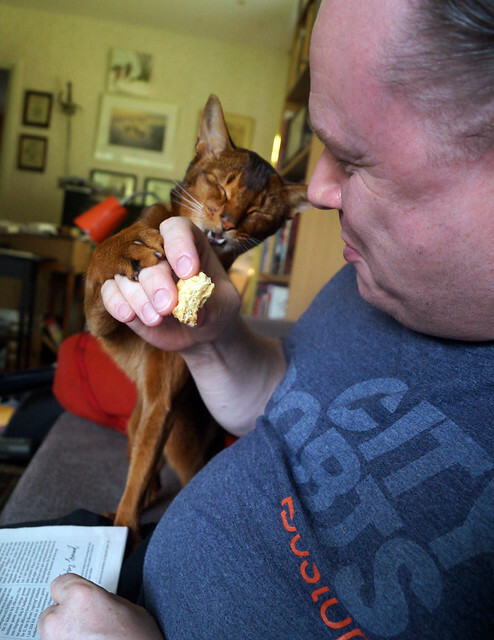 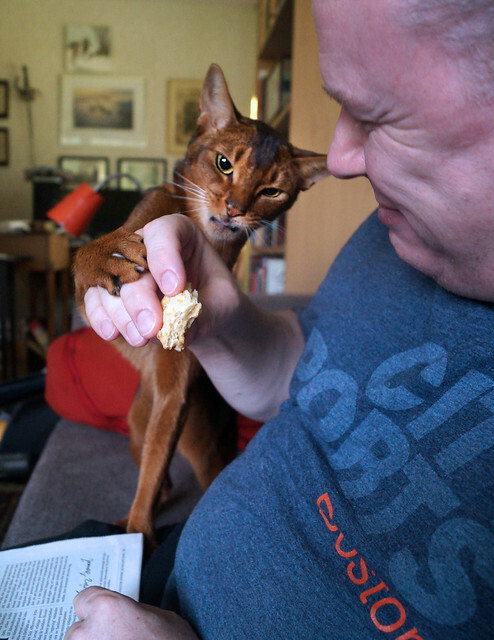 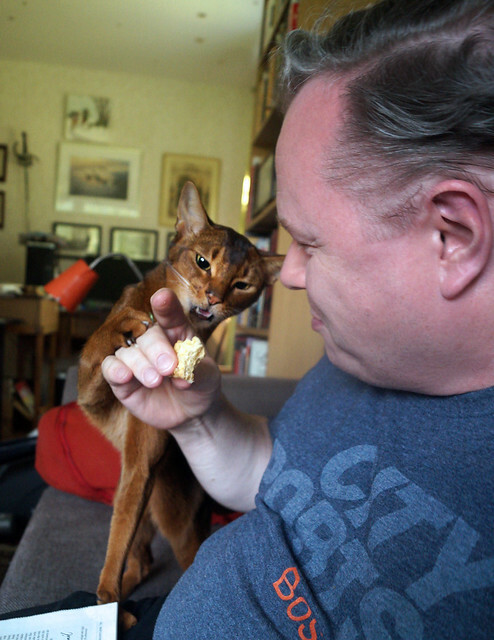 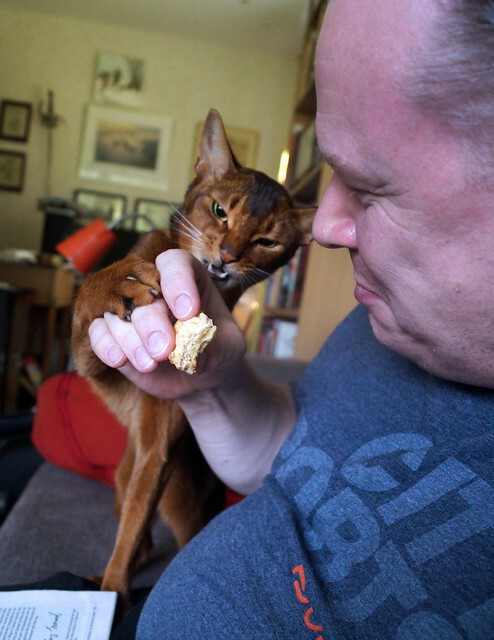 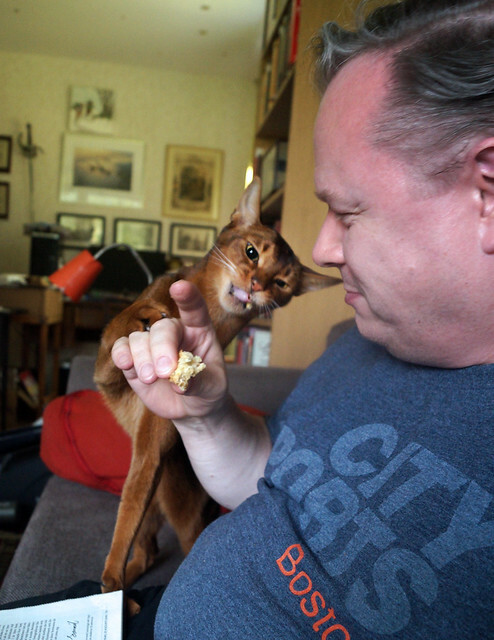 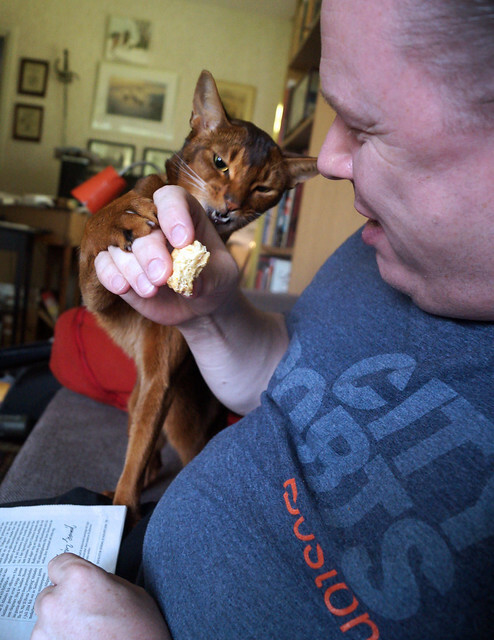 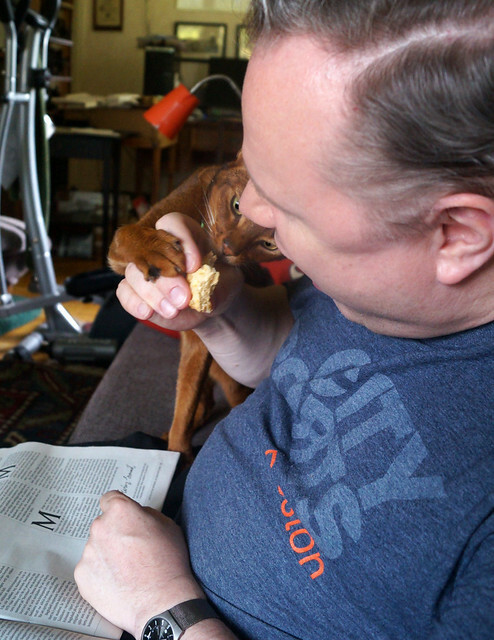 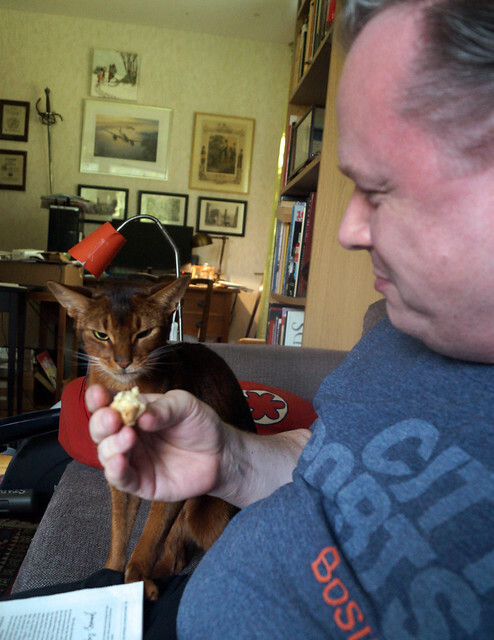 If you can’t eat bread around an Abyssinian…how can you expect to eat actual meat around one? 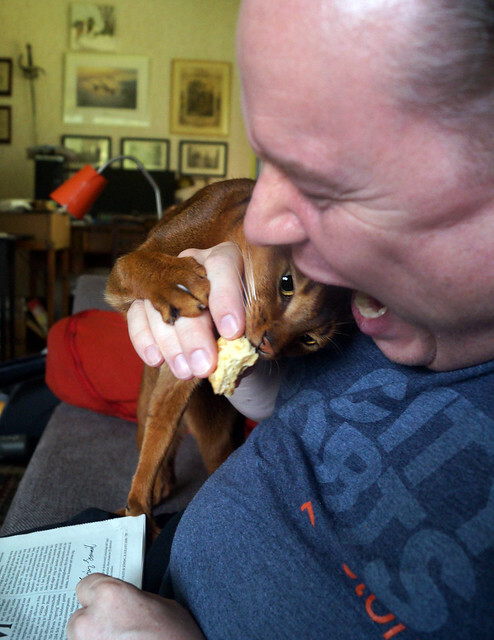 Yeah, we can totally see who won THAT battle! 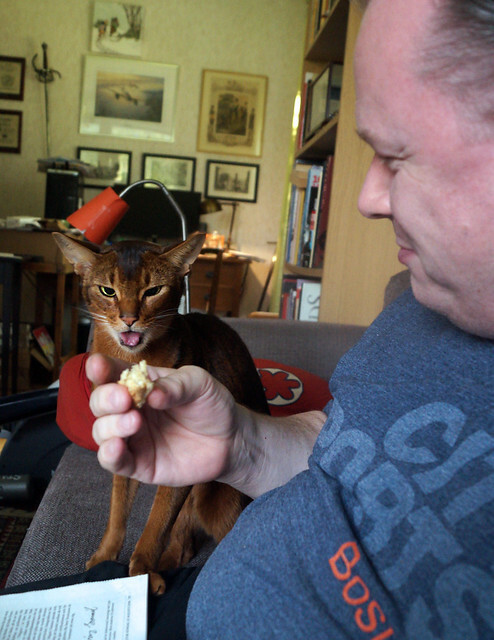 That is so funny! 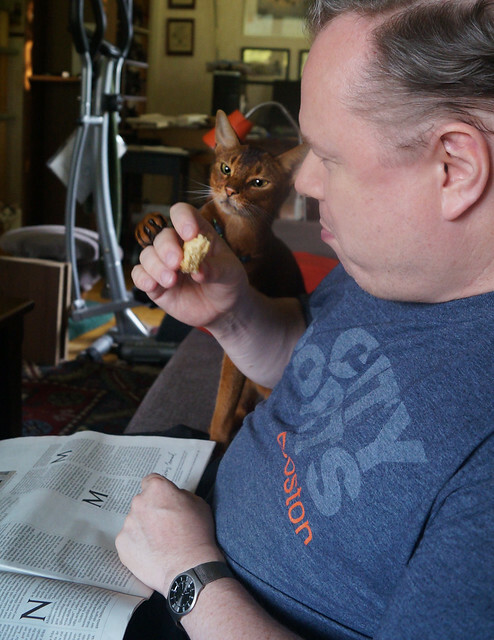 Our cat Harold likes bread, too. 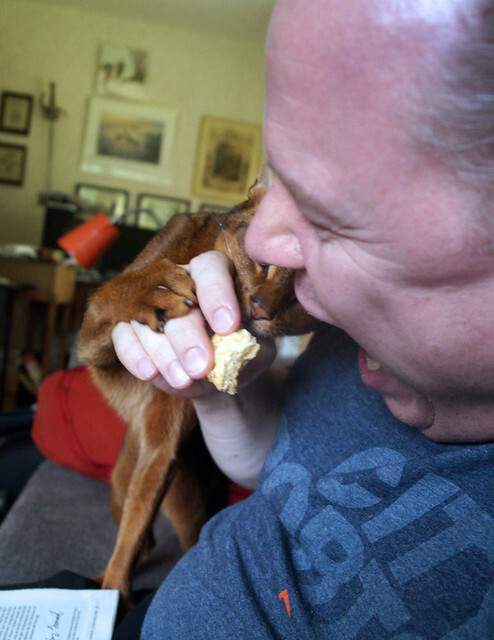 If I’m eating a sandwich or something, yeah, meat is fine, but he’s there for the bun. 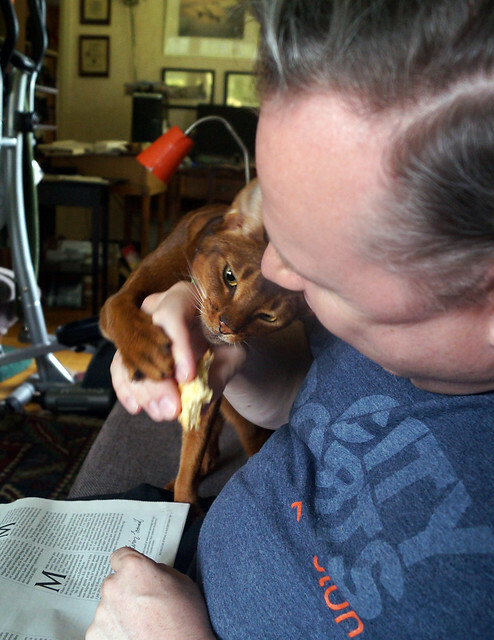 I’ve tried explaining to him that he’s an obligate carnivore, but he’ll have none of it. 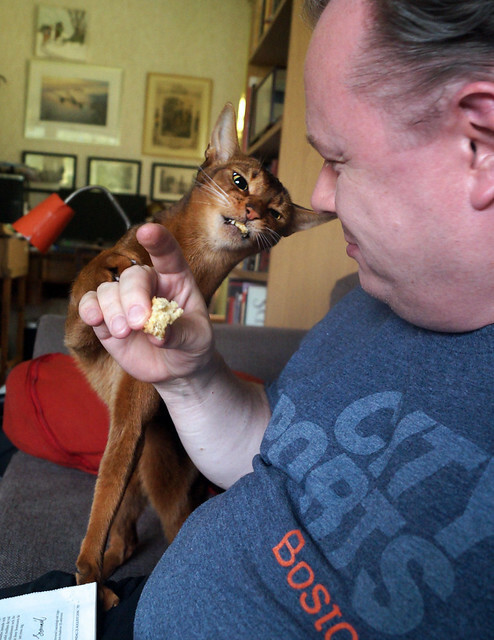 This is PRICELESS! 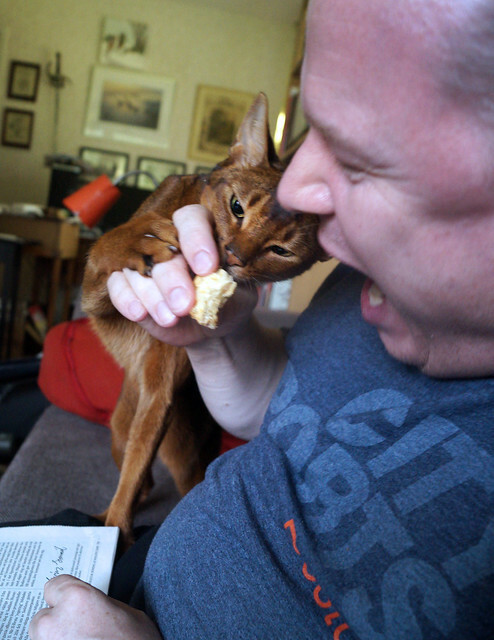 Very familiar!